Produced by Nikola Van de Wetering of 4ZZZ, Brisbane. Supervising production by Stephen Stockwell. 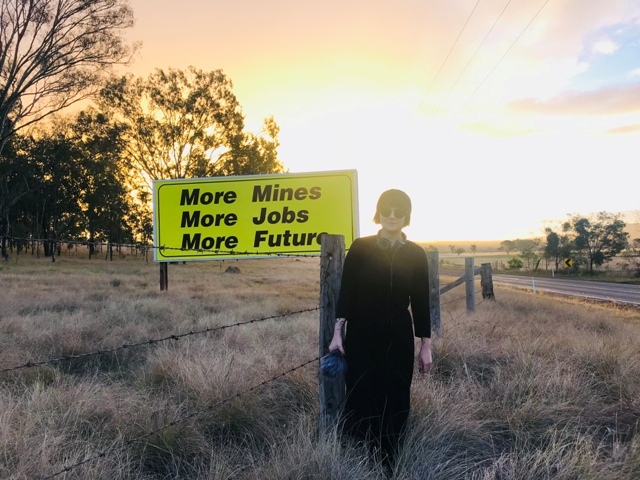 MORE MINES, MORE JOBS, MORE FUTURE isn’t just a billboard slogan. Nobody could tell me when they first saw the billboard. You’d think a landmark that big and that bold, sitting alongside a highway in rural Queensland, would lodge into your memory. But regardless, it soon became an accepted part of the local scenery. IMAGE: Nikola Van de Wetering with the billboard on the D’Aguilar Highway, at Barker’s Creek Flats (QLD). Every interview I conducted in-and-around Kingaroy, investigating local mining interests in the area, I asked about the billboard. But there was no simple answer. I was met with a wild and wonderful array of theories to it’s origins. One lady I spoke to swore on her life the mining mogul Gina Reinhardt herself had paid for it, given her association with the local Christmas Light Competition (and for a moment I almost believed her). 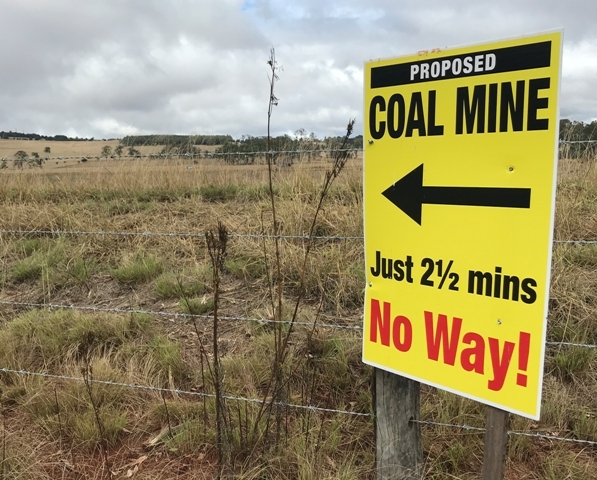 IMAGE: anti-coal mine placard 500 m east of Kingaroy on the D’Aguilar Highway (QLD). Whilst this documentary was at heart about mining prospects in the region, and it’s sordid connections with past notorious environmental failures, it soon grew into a snap-shot of the community I grew up in. A place steeped in small-town rumors and suspicions. A community fractured not only by it’s mistrust of mining operators, but also of each other. I shouldn’t have been surprised the production of this documentary followed me long after I completed my interviews in the community, with cold-calls from strangers asking me why ‘anyone in living in Brisbane would care’ about a development in this rural Queensland town. It’s a testament to the tensions of this region, and the heady paranoia of it’s residents. IMAGE: remains of an anti-UCG placard approx. 1 km east of the Bjelke-Petersen homestead ‘Bethany’ (QLD). But the battle of the black and yellow signs had been waging long before I returned home to produce this documentary. 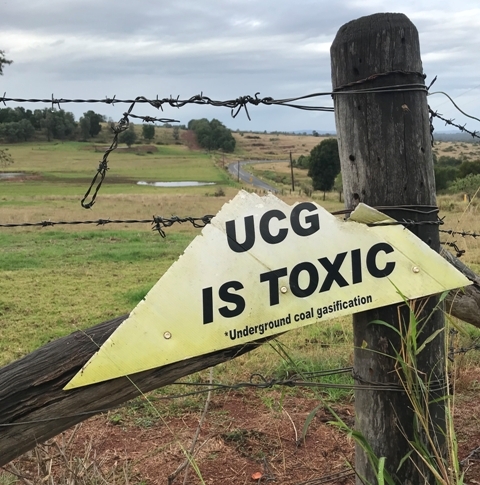 If you know where to look, you can even find some of the placards from some ten years ago, back when Cougar Energy’s UCG pilot was in development. These decaying signs stand as evidence of the first fractures that formed within this rural community, and of the story I ultimately wanted to share in At the Coalface. Mapping out the nuances of home and love that we experience through separation, Thanh Hằng Phạm tells a story of long distance relationships in this feature: one that asks what queer people of colour experience in this diaspora.